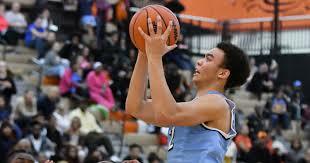 Bank Hoops Class A Player of the Year Brandon Wade, a senior point guard from Ann Arbor Skyline. 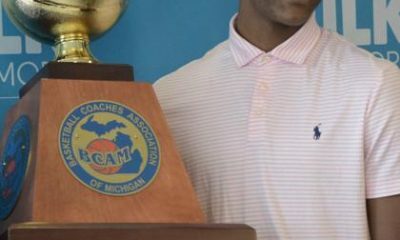 MVP Brandon Wade 6-2 Jr Ann Arbor Skyline: He led Skyline to a 20-0 regular season averaging 23.2 points and 7.1 assists, 4.6 rebounds and 3.5 steals per game. Wade signed with Duquesne. 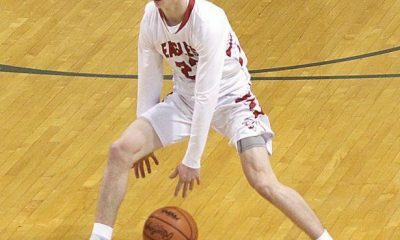 Tyler Bosma 6-6 Sr West Ottawa: While he’ll play baseball in college, at Miami (OH), Bosma left his mark on the court leading West Ottawa to the state final. 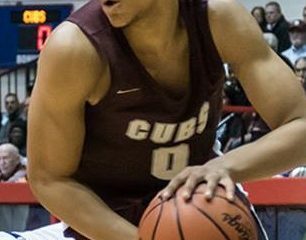 He averaged 17.2 points, 8.8 rebounds, 2.7 assists, 2.6 blocks and 1.8 steals per game while shooting 56 percent from the field. 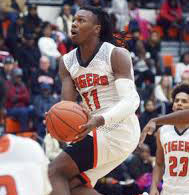 Gabe Brown 6-7 Sr Belleville: The future MSU Spartan led Belleville to a regional title averaging 18.5 points, 5.7 rebounds, 1.5 assists and 1 block per game while shooitng 53 percent from the field. 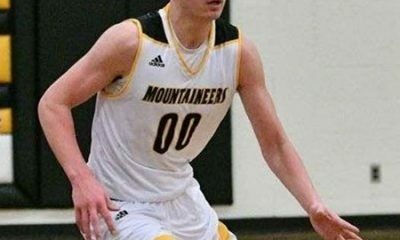 Taylor Currie 6-9 Sr Clarkston: The starting center for state champion Clarkston, Currie averaged 13.1 points, 9.4 rebounds and 1.5 blocks while shooting 54 percent from the field. He signed with Wisconsin. 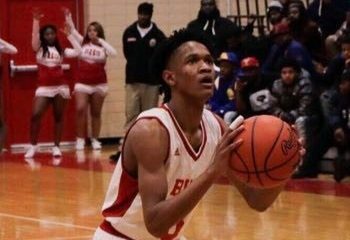 Rashad Williams 6-2 Sr Wayne Memorial: He led the Zebras to their first district title in over two decades averaging 23.7 points, 6.7 assists and 5.1 rebounds per game. 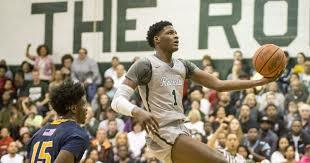 Williams signed with Cleveland State. 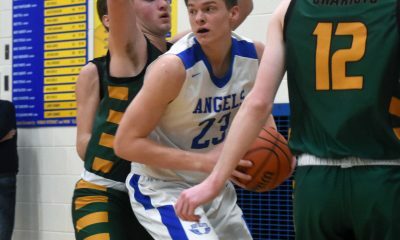 Jacob Boonyasith 6-3 Sr Jenison: The Wildcats’ career scoring leader, he concluded it by averaging 24 points, 7 rebounds and 5 assists per game while shooting 54 percent from the floor, 40 percent from three-point range and 82 percent from the stripe. Rocket and Jackson from Old Redford?